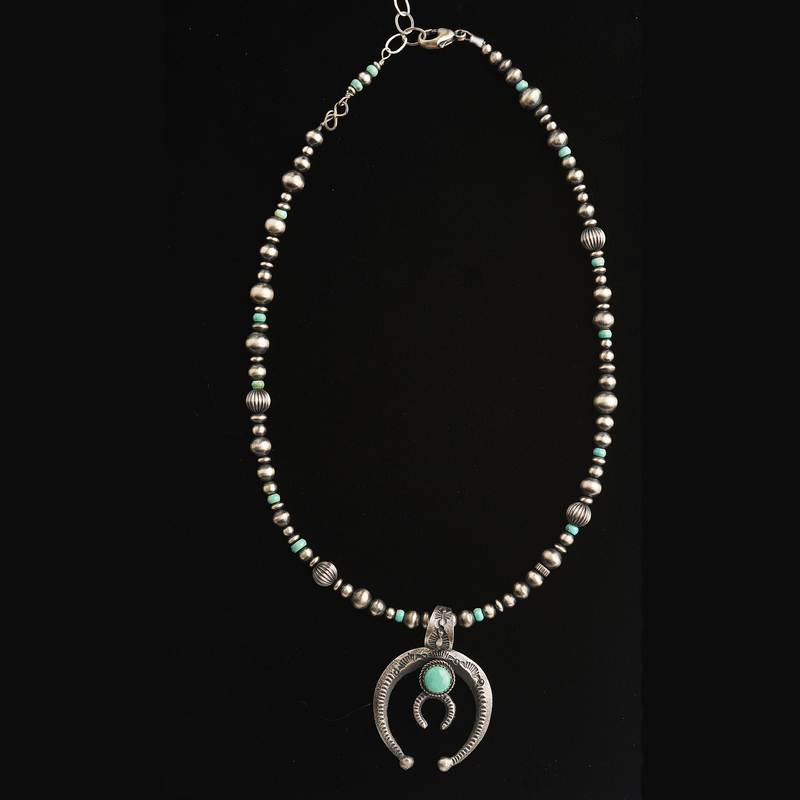 This is a beautiful handmade Navajo sterling silver and turquoise naja pendant made and signed by Navajo artists Eva and Linberg Billah. 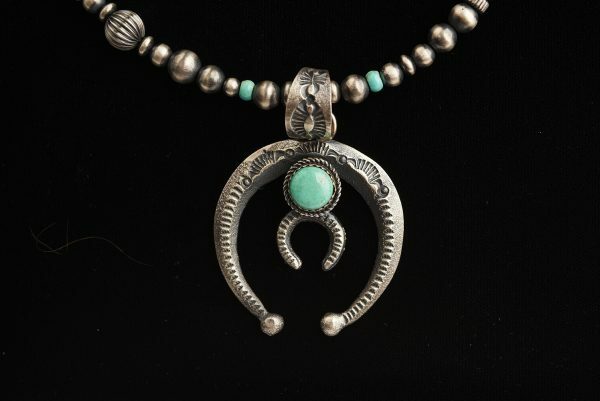 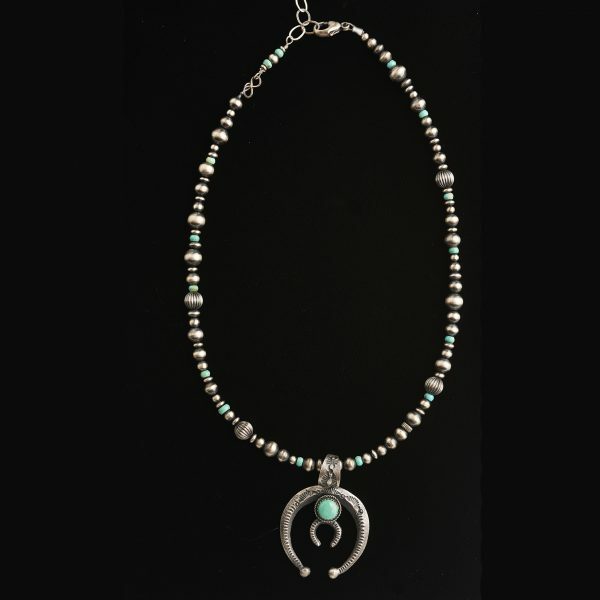 Navajo silversmiths Linberg and Eva Billah created this gorgeous naja pendant with the sandcast method and with the addition of a turquoise stone to add a pop of color. The naja features brushed, sandcast sterling silver stamped with scallop and line designs. 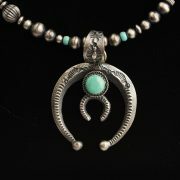 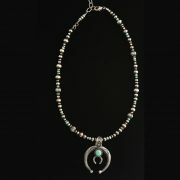 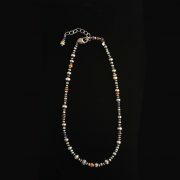 The turquoise piece, located at the center top, is set in a rope designed sterling silver bezel. 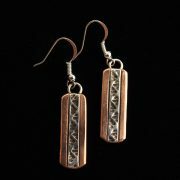 The bail of the piece is also stamped with assorted designs.